While Tuesday’s press conference was all about Showtime’s return to Pay-Per-View with Deontay Wilder battling Tyson Fury on December 1st, Showtime President of Sports and Event Programming, Stephen Espinoza made it clear he’s coming to pick up some of the names left behind by HBO. 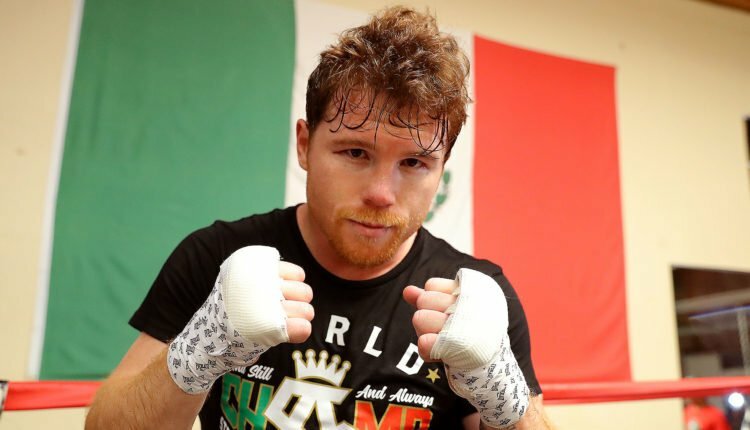 HBO has decided to leave the boxing game entirely in 2019, leaving already free agency eligible Canelo Alvarez without a potential safety net in negotiations, but that may not matter. Alvarez may have a ton of suitors on the open market, but Showtime seems to have been and made it known that they want the current unified middleweight title holder. “We’ve expressed interest, but they’re taking their time,” Espinoza told BoxingScene.com at Intrepid Sea, Air & Space Museum. “We’ve made our interest known. But it’s not something we’re gonna be real up front about in the press. We’ve made our communication directly to Golden Boy and they know we’re very interested. And we obviously have a history with Canelo. Alvarez has fought on Showtime before, including his high profile majority-decision loss to Floyd Mayweather in 2013. The Canelo-Mayweather fight is third all-time in Pay-Per-View revenue, only trailing Conor McGregor taking on Mayweather, and Mayweather-Pacquiao, with 2.2 million buys and $150 million in revenue. Alvarez would fight two more times on Showtime Pay-Per-View, before signing an exclusive deal with HBO. While Bob Arum on behalf of ESPN and DAZN are courting Alvarez as well, Espinoza believes that Showtime’s record in producing top of the line pay-per-view events will be a major key.